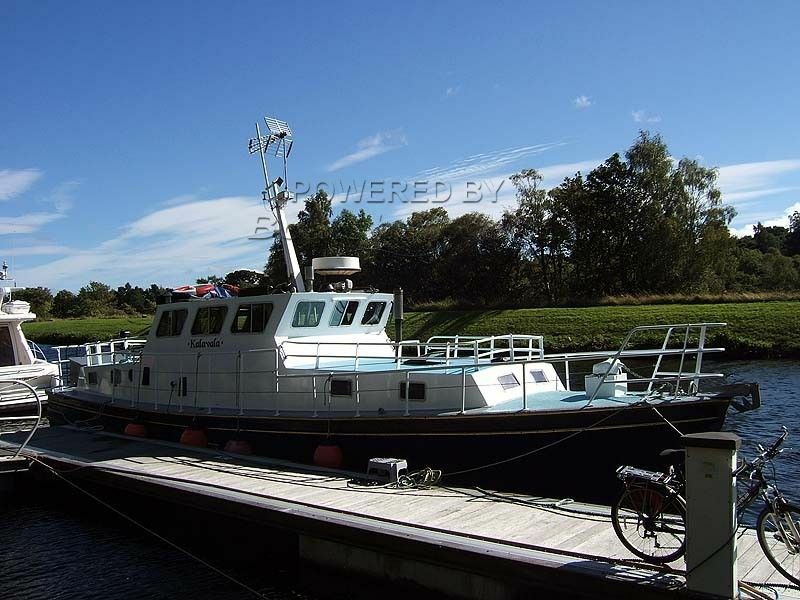 This ex 44ft.Admiralty motor launch was converted as a leisure/pleasure motor cruiser by Macduff Ship Building Company, the double diagonal mahogany hull was sandblasted and then sheathed with GRP in 1993 and the deck housing, coach roofs fore and aft is completed in aluminium and in first class condition. The present owner has been living on board for a number of years and has been keeping on top of any works requiring his attention along with having a few trips each year when time permits. A very comfortable livaboard that can also give lots of cruising pleasure when required and is in move in condition. This Ex MOD Motor Launch has been personally photographed and viewed by Edwin Malcolm of Boatshed Scotland. Click here for contact details.